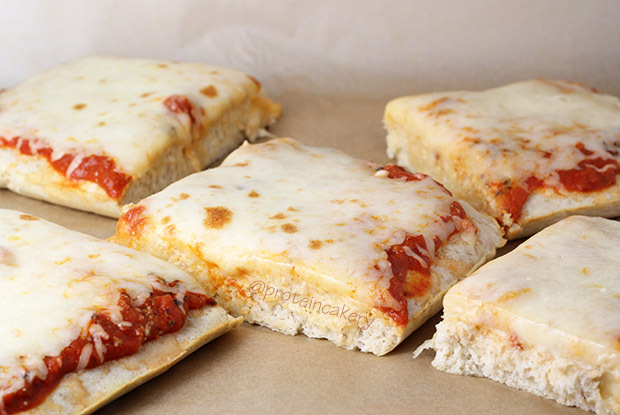 When I was growing up in Brooklyn, there were really only two kinds of pizza: round or square. Round was the thin crust, Neapolitan kind. And square was the thick crust, Sicilian kind. 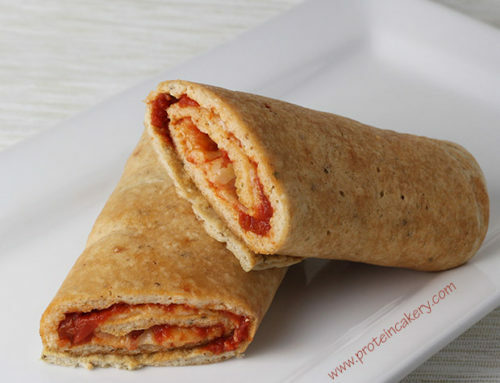 With the success of my Protein Pizza Wraps and Low-Carb Protein Pizza here, I thought it was time to include some square protein pizza. 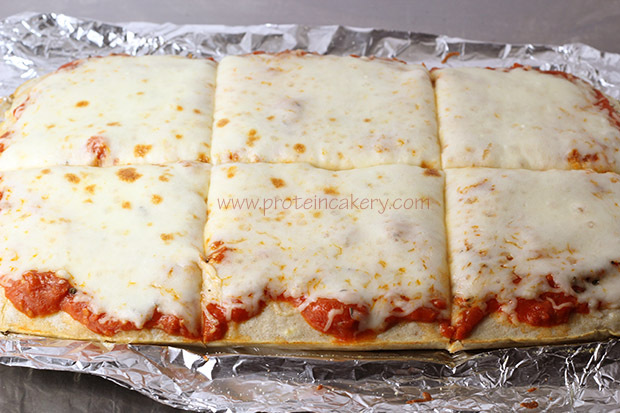 So here you have a recipe for delicious Sicilian Protein Pizza! Ok, so I’m sure there were more options for pizza back then; it was Brooklyn, after all! But in my house, you wouldn’t know it! Round or square. No toppings. That was it! Maybe, maybe, the occasional rice ball. 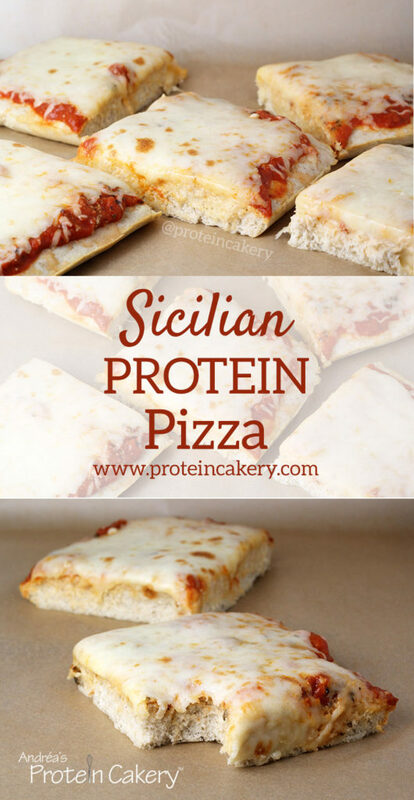 This Sicilian Protein Pizza doesn’t have the crunchy outer layer to the crust like the original (because this isn’t magic, you know, it’s protein baking), but it does have the soft, thick, bread-like texture! 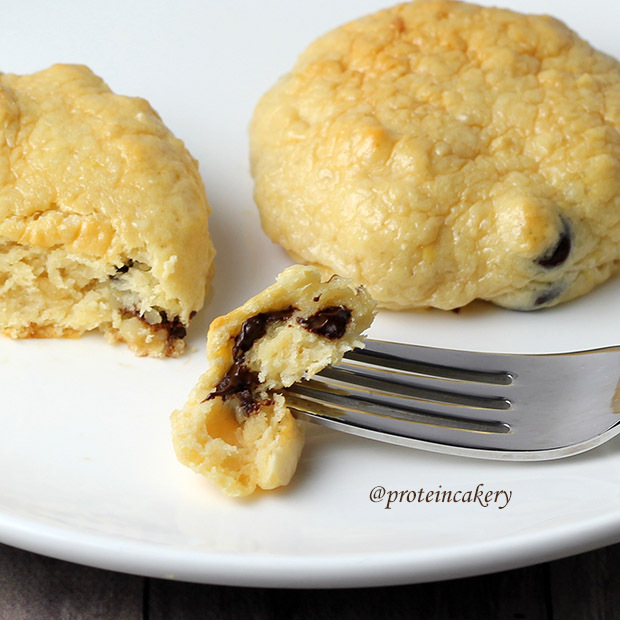 I’ve updated this recipe to use our Whey Protein for Baking. 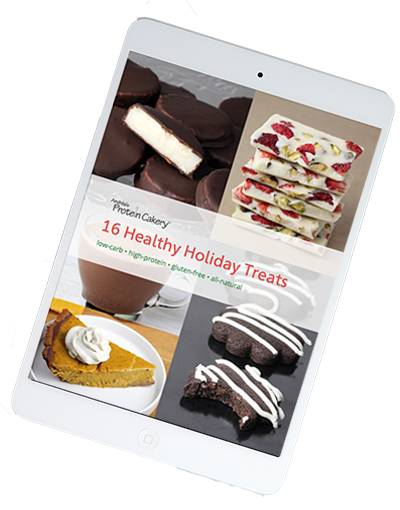 It is an unflavored, lecithin-free whey protein concentrate that bakes well and tastes great in recipes. You can even flavor it as you wish for blended shakes! 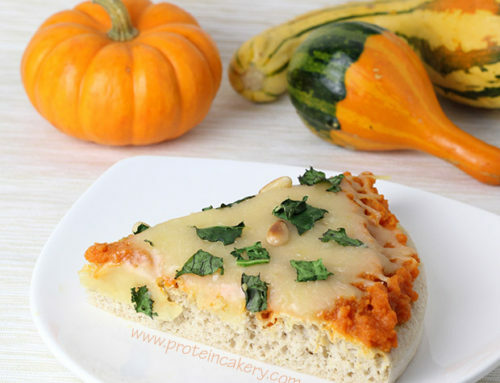 The key to a good protein pizza is to have great sauce and cheese. I love Rao’s Vodka Sauce! My go-to sauce. They also make a pizza sauce that’s great. 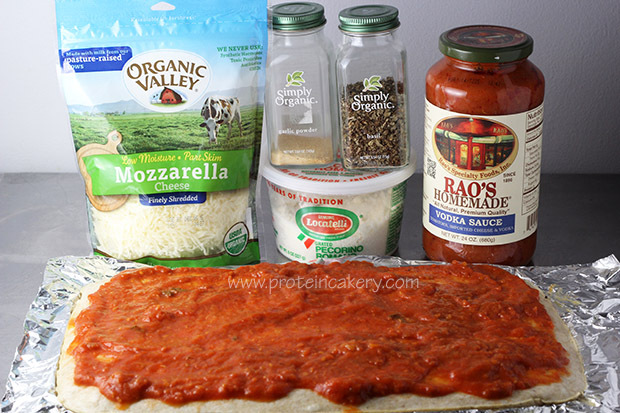 With good sauce and quality cheese, this Sicilian Protein Pizza totally hits the spot for pizza cravings! 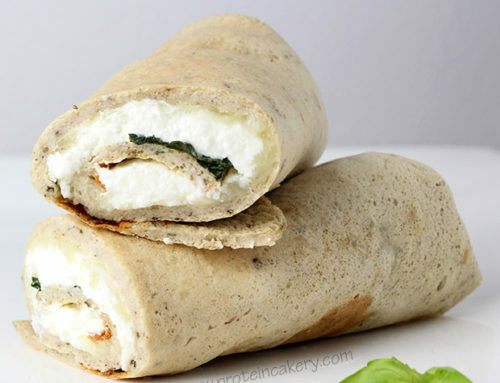 Unlike my Protein Pizza Wraps and Low-Carb Protein Pizza, there isn’t any pea protein here. 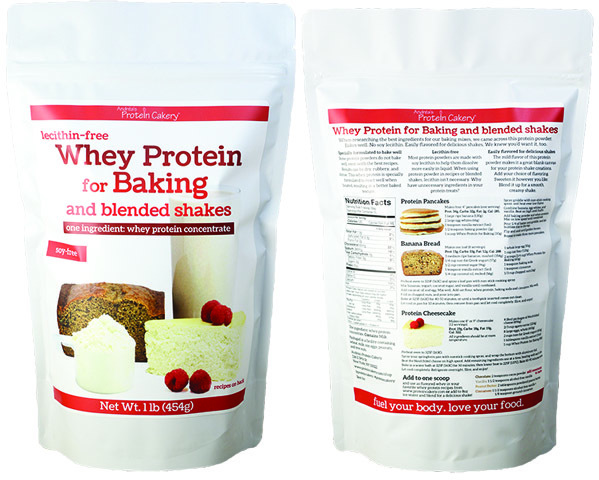 Whey all the way! 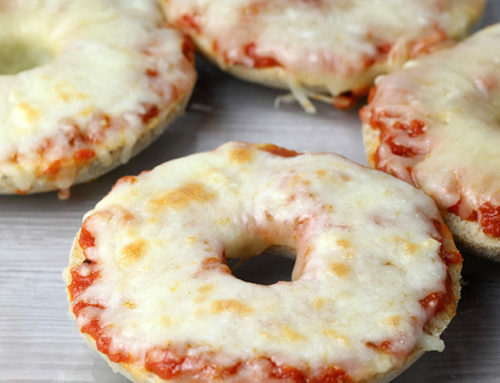 Now you can give in to your pizza cravings, and still hit your macros! 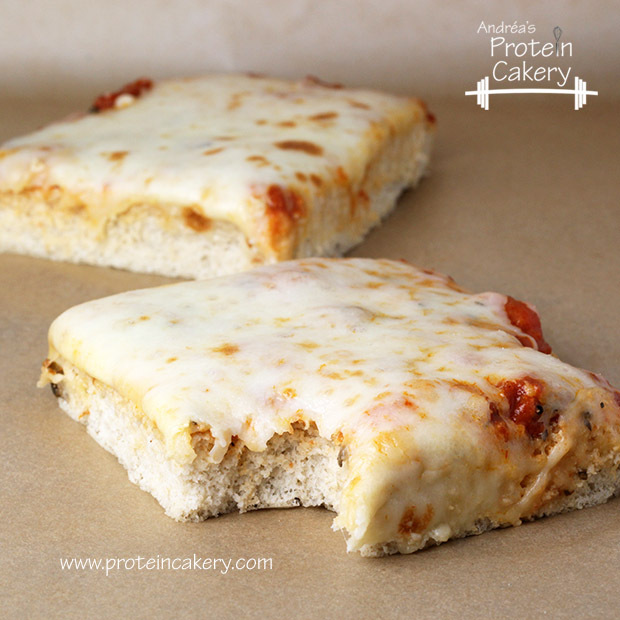 Pick up some Whey Protein for Baking and give this Sicilian Protein Pizza a try! 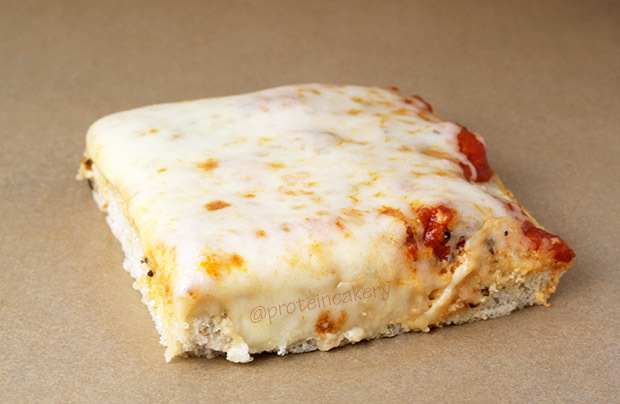 *use code PIZZA for 20% off! Makes one 13x9x2" pan (6 servings). Line a 13x9x2" pan with aluminum foil (since we are going to put this in the broiler later, don't use parchment paper!) and rub with oilve oil. Set aside. 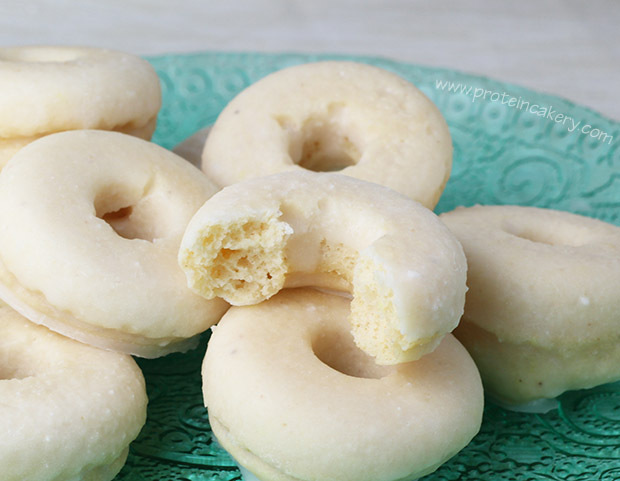 Mix egg whites and olive oil until combined. Add remaining crust ingredients, and mix well. 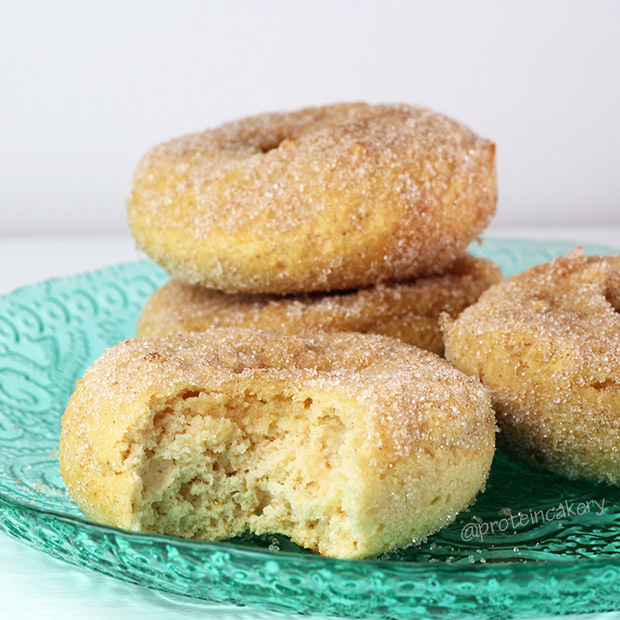 Pour crust batter into pan, and bake for 16-18 minutes, just until firm. To avoid having a dry bread crust, do not overbake! Remove from oven, and let cool enough so that you can handle the foil and remove it from the pan (with the crust on it). 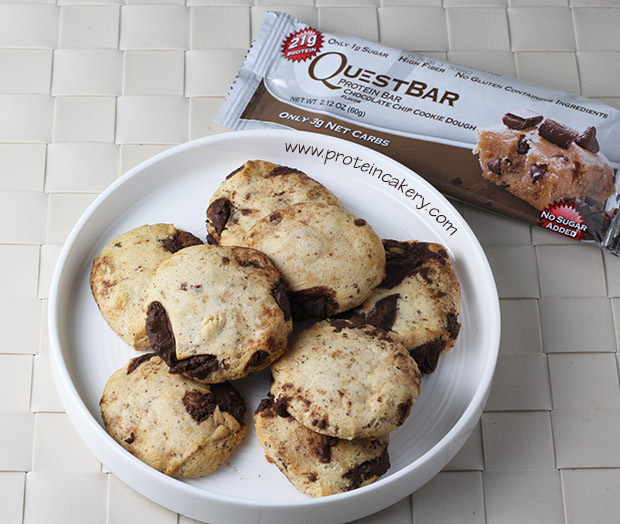 Place on broiler tray, and wipe off any extra olive oil that may be on the exposed foil. 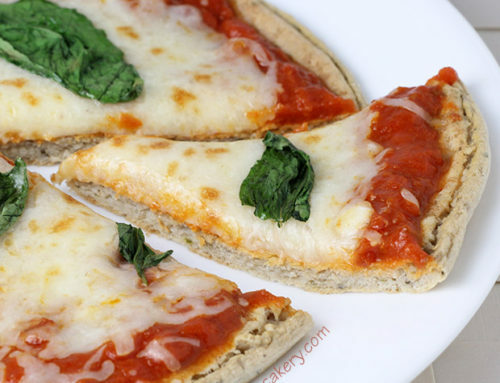 Top crust with sauce, basil and garlic, Locatelli cheese, and mozzarella cheese. Place in broiler for a minute or two, just until the cheese is melted. 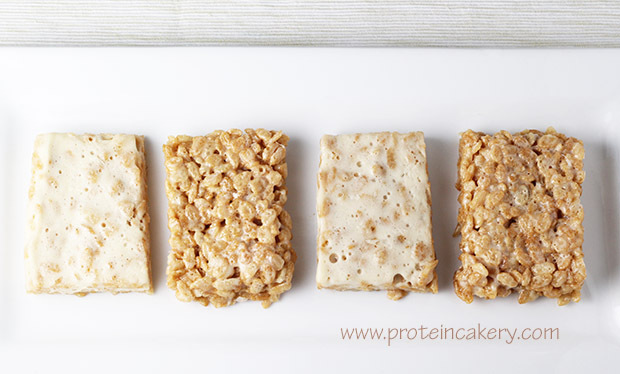 Remove from broiler, slice, and enjoy! 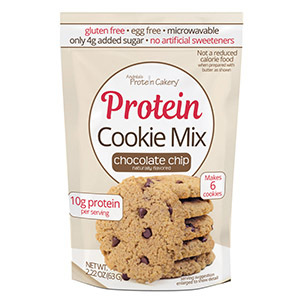 You can use any brand unflavored whey, but I would keep an eye on your bake time, then.